The brand new 2018 Range Rover Velar is not only a visually stunning small luxury SUV, but is also packed with many helpful advanced technology safety features. When looking for a great family vehicle, look no further than the Velar to enjoy the security of these exciting safety features. One safety feature is the Emergency Brake Assist. This system understands when you apply the brakes quickly. If it’s not enough force, it will assist by applying more pressure to help you stop quickly. Cruise Control with Speed Limiter helps sense the distance between you and the vehicle in front of you. That allows the Cruise Control to stay to a set distance. Lane Departure Warning senses when your vehicle is unintentionally drifting into another lane. The system notifies you with a visual alert and a subtle vibrating in the steering wheel. The rear parking aid makes reversing into tight parking spaces is easier and safe. Just select reverse and the sensors on the rear bumper detect your proximity to obstacles. 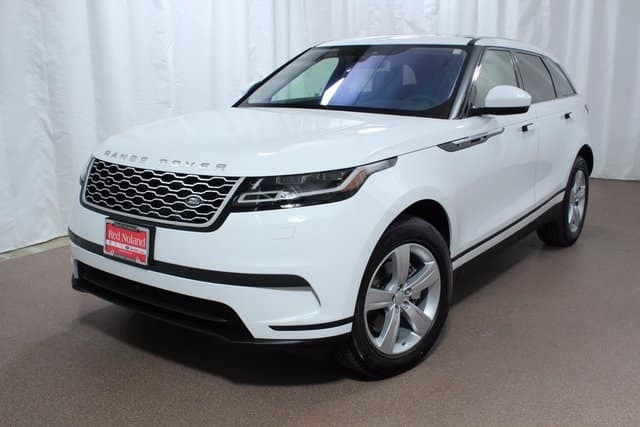 Here at Land Rover Colorado Springs we currently have a great section of the 2018 Land Rover Range Rover Velar. Visit our showroom today to take a test drive and try out the many advanced technology features equipped on the luxury performance SUV.